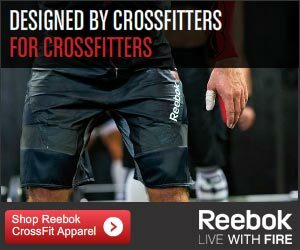 Recently we’ve been writing a series of posts about different garage gym setups that you can buy from various Crossfit equipment vendors, but what about those of us who don’t have $1,000 to spare on some of these setups? What about the industrious folks out there who are willing to make their own equipment and train like Rocky in the middle of Soviet Russia? Let’s take a look at some DIY garage gym equipment that takes a pretty minimal investment in both time and money. An example of Tim’s kettlebell build. Kettlebells are expensive, especially adjustable kettlebells, but Tim Ferriss has a simple approach to solving that for around $10.00 and a trip to your local home improvement store. He has instructions for making a simple “T Bar” out of metal pipe that allows you to change the weights as needed. *Safety note, probably not a good idea to swing these completely overhead, as the weights aren’t fully secured if they are inverted. Heres the easiest, cheapest way to make one of these. Go to your local home improvement store buy a bag of play sand (like you’d put in a sandbox). Wrap that in a trashbag (in case the orignal bag busts) and seal up the bag with duct-tape. 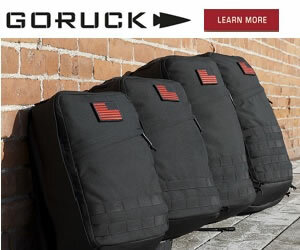 Great for carries, sandbag cleans, etc…wouldn’t recommend slamming it on the ground. If you need something a little more rugged and adjustable look at getting an old military issue duffel bag. I saw one in an antique store for $5.00. You could also snag one off of eBay. If you can’t find one of these, which are pretty rugged and durable, use an old gym bag. Do the above steps with a bag of playsand and then put it in the bag. The benefit here is that you can adjust the weight a little easier. 1 bag not heavy enough? Try adding another bag of sand to the duffel/gym bag. It’s probably not fair to call it a barbell, since you can’t put weight plates on it, but for lack of a better term that’s what we’re using. The all natural way is to cut down a tree / old log to around the same length as a standard Olympic barbell and use that. It’s free if it’s in your backyard and you can store it outside. However, this will rot and decay over time and it’s probably not the most feasible way to do this (but it is a good place to start). Take an old basketball and drill a small hole (large enough for a funnel spout) in one of the black stripes of the basketball. Stick in a funnel, fill with sand to your desired weight (might be handy to have a scale nearby). Once you’re done patch the hole with a bike tire patch kit or duct tape. Now, go do 150 wallballs to test it out. The first idea we have here is pretty simple…start out with weights/sand/bricks/etc… in an old backpack and do pull-ups or pushups with it. You could potentially run in it as well, but since the weight isn’t distributed (ie: it’s mostly on the back) it’s better not a great idea for long runs. If you want a vest that’s a little more conducive to running, head to a sporting goods store and pick up a fly fishing vest (around $15.00-$20.00). These vests have pockets everywhere. Fill ziplock bags with sand or hardened concrete to the desired weight making sure you spread it evenly around the vest. Put it on and work it out. Some other avenues to explore include lengths of heavy chain. Wrap them around your neck/waist/shoulders and go for a long run. Also, filling up 5 gallon buckets with concrete will get you a block of concrete that ays about 85-100 pounds. You could use it like an atlas stone or clean it like you do with med ball cleans (just two of many options). As always, with any of this homemade equipment, be safe and smart. We’re not responsible for you hurting yourself or any property damage you may cause using these home brew equipment methods. Catch up with us next time when we look at more DIY Garage Gym Equipment. There are some different segments to the home gym that make it considerably more functional and can help you take your fitness to the next level. This article makes me want to go work out at this moment… Got to love the thought regarding the tire and sandbag. I’ve been looking to a more intensive workout, however I don’t have any barrels or mammoth tractor tires around the house.